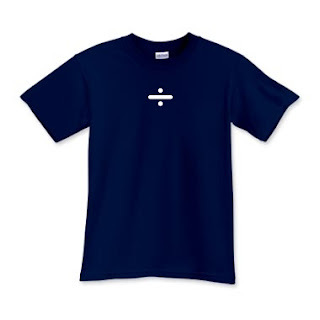 I've seen a lot of math t-shirts. This one on Nerd Nook's photostream caught my attention. (might have to blow it up to read it.) In the 18 million times I've been asked, 'When will I ever use this in the real world? ', I have yet to use this technique. It's kind of Dirty Harry meets underpaid math teacher. 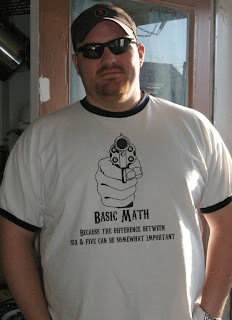 He also has a bunch of other t-shirts. I love this one.